Check out Snake Oil Preachers from 4 pm this Saturday at Smith’s Alternative. Photo: Supplied by Snake Oil Preachers. Local “godless gospel” band Snake Oil Preachers (pictured) are frequent stars at Smith’s Alternative on a weekend, and this weekend is no different as they take the stage from 4 pm this Saturday. They have a stack of videos to check out here. On Friday the magical and mysterious Magic Rob Universe take to the stage with Greg’s Intervention from 7 pm at Smith’s Alternative, while over at the Basement reggae band King B-Fine & Afrikaya Band will be playing from 9.30 pm. 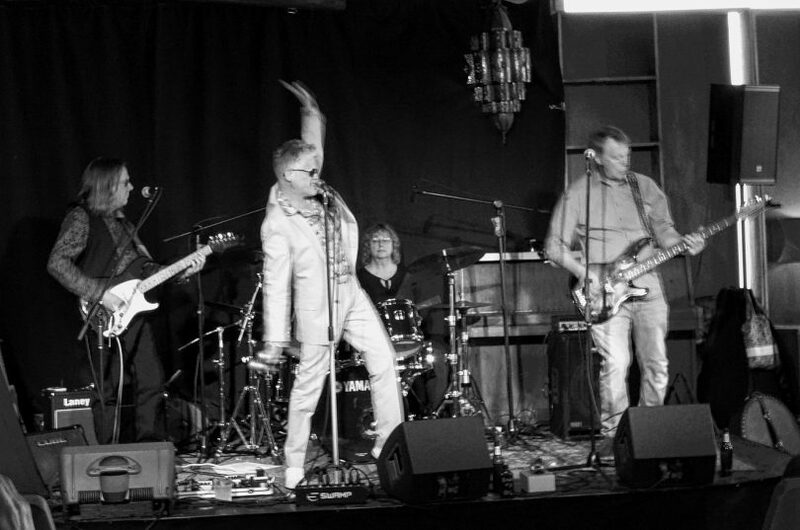 If you miss them on Friday night they will also be playing at Smith’s from 9.30 pm on Saturday. Saturday night has an enormous list of other shows, including Matt Corby’s “Rainbow Valley” tour coming to the UC Refectory, Pigfest featuring Cockbelch, CHUD, Legal Aliens and much more at The Basement, and Sancho’s Dirty Laundry celebrates five years with a massive show on Lonsdale St – Weekend At Palko’s – which features the likes of Teen Jesus & The Jean Teasers, Context, Neko Pink and a stack more.